The Berkley Salon Ensemble is an established offshoot of the City of Birmingham Symphony Orchestra. 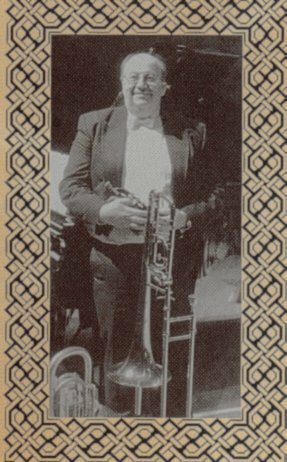 Formed in 1999 by CBSO bass trombonist Alwyn Green (pictured left), who has had some experience writing for and recording with Palm Court type orchestras, the ensemble brings together a basic line-up of ten versatile professional musicians. With a line-up of 2 violins, viola, 'cello, bass, piano, flute/piccolo, clarinet/saxophone, trombone/cornet and percussion, the ensemble can boast a very wide repertoire - styles from classical through British light music to early pop and jazz, from c.1850 to the Second World War, Taking you back to the days of Palm Court music and the Victorian Salon. Where circumstances permit, the ensemble is enlarged to include singers and other instruments. In its relatively brief existence, the Berkley has made quite an impact on the light music scene. Performances at the Aldeburgh, Stratford, Solihull and the Three Choirs Festivals have been well received as have a number of engagements in the CBSO calendar. In 2002, the ensemble performed in the presence of H.M. Queen Elizabeth II and the Duke of Edinburgh during the Golden Jubilee celebrations. 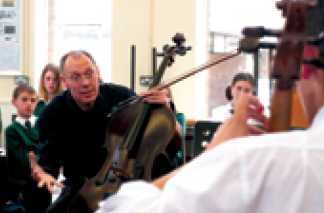 In 2003 the ensemble undertook its first engagement outside the UK when it traveled to Germany and presented an education project for schoolchildren as part of the Cologne Festival. Local engagements, both at corporate functions and community concerts, continue apace, whilst the education outreach forms the core of our work. 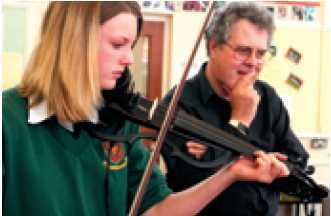 In this field, the work ranges from schools concert presentations to major projects where the ensemble works with schools to assist pupils in composing and performing their own music. Coaching youth orchestras is another valuable outlet, where we are able to work with individual sections before rehearsing and performing as a team. Life was less stressful and taken at a rather more leisurely pace in those far off days of the Palm Court, so the Ensemble invites you to allow your nostalgia free rein, sit back and enjoy the therapy - or get up and dance as the mood takes you.